A few weeks ago, something momentous happened to me: I began to develop the skill of being able to tell when a picture book would make a good flannelboard. I was flipping through the book, A Tree for Me, and I realized, “Hey…this could work as a flannelboard!” And I’m telling you, folks, it was as though the librarian gods blessed me with a new skill that I was previously lacking. For those of you who aren’t familiar with the story, it’s about a boy who’s looking for a tree that’s just for him. However, he finds most of the trees that he climbs are already occupied by someone: first it’s an owl, then possums, then worms, and so on and so forth. At the very end, he finds the tree for him, and it has a tree house in it! Not only is this book easy to flannelize, but it also has a great refrain that the children can say along with you: Big one, small one, skinny one, tall one, old one, fat one, I choose that one! I see this flannel set working one of two ways. Either you read the story and use the flannel pieces to help tell it. 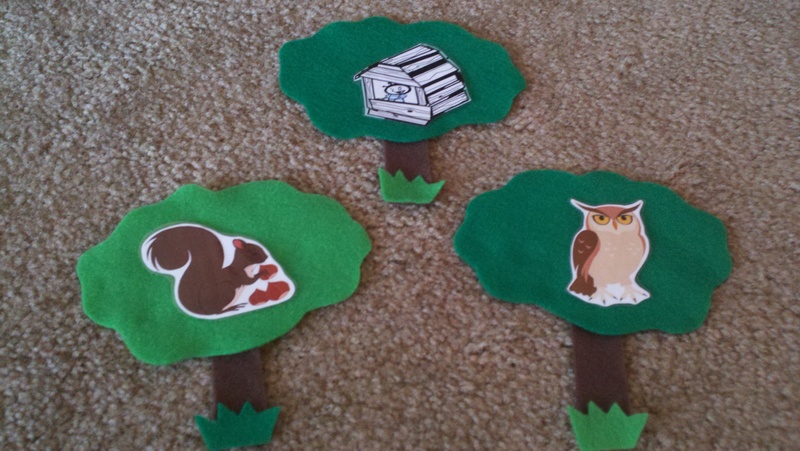 Or you can make into a sort of game where you hide the various animals behind the trees and have the children help you find the tree that has the tree house. 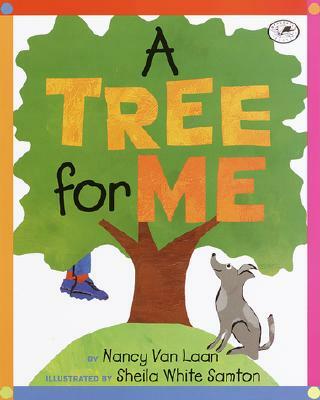 You say the refrain, pick a tree, maybe have the children try to guess who might be in the tree, and then remove the tree to see if it’s the right tree for the boy, or if it’s already inhabited by an animal. Our Flannel Friday host this week is the amazing Sarah at Read It Again! To learn more about all things Flannel Friday, go see the awesome website. LOVE this book! It is one that I sign using ASL. I love your ideas for using the flannel set to tell the story and to use it as a guessing game. Very clever! I’ll bet the kids love the guessing game! Oh! And CONGRATULATIONS on your new-found skill! Can’t wait to see what other books it helps you find to flannelize. You did fantastic picking this one! Thanks! I’m very happy with how this one turned out. I’ve also been working on a Where’s Walrus flannel, which I’ll probably post for this week’s Flannel Friday. You should definitely post the song that you mentioned in the comment above in a future Flannel Friday! I’d love to see it! You’re right–knowing which books make good flannels is a skill. My first flannel story has 55 pieces…a nightmare to keep track of! Love your flannel story and love your ideas for presenting! 55 pieces! Oh my goodness! I definitely learned early on that most flannels work best with a minimum number of pieces. My favorite lots-of-pieces flannel is I’m the Biggest Thing in the Ocean.